Postpartum depression (I’m including all postpartum mood disorders that fall under its umbrella) doesn’t discriminate. No new mom is exempt. It doesn’t care about your skin color, ethnicity, religion, economic status, how amazing your husband might be, or how much of your family’s love and support you have when the baby comes. It can happen to anyone. It happened to me. At eight months into my pregnancy, a close friend (already a new mom) asked me if I was worried about any “postpartum depression stuff” after I gave birth. I quickly replied, “Of course not. That would never happen to me.” Conversation over. I never gave it another thought. I don’t think I even realized what postpartum depression was at that time. The subject never even came up in the maternity classes I took at the hospital. The joke was on me because at day two of being home from the hospital, it came to greet me, like a category 5 hurricane. I was lucky to recognize that obsessively wanting to get sick or injured so I would have to return to the hospital where I didn’t have to take care of my baby, but others could take care of me meant that something was wrong. I was lucky enough to have a husband who upon immediately noticing something was very off with his wife, the new mother of his child, had already said something to my own mother, as I was about to approach her with the following sad and shocking news: I had made a terrible mistake. I didn’t want to be a mom. I didn’t want to take care of a baby. I wanted my old life back. I never wanted to get out of bed again. I couldn’t stop crying. I wished to sleep forever, if only the intense anxiety weighing down my chest would ever subside. I was lucky that, although not experienced in postpartum depression, my mom was a therapist and new to call my OB right away. She knew I needed to find a therapist, psychiatrist, and probably consider the possibility of medicine too. It wasn’t easy and I had to fight, but I did and got better with treatment. Weekly sessions with a therapist that specialized in the disorder and the right combination of antidepressants helped me immensely. It was an uphill battle that took almost a year, but I got through it. My son is almost four now and we are both thriving. I love being his mommy. Not everyone is as lucky as I was. What we really need to start understanding about postpartum depression is that it can happen to anyone and often goes untreated and unacknowledged. Women feel ashamed or guilty for not falling in love with their babies and motherhood immediately. New moms think there is something wrong with them and they don’t want to admit these negative feelings. They worry about being judged as an unfit mother and losing their babies. But postpartum depression needs to be defined as a real illness and treated accordingly, whether it comes in the form of a deep anxiousness and irritability or the more serious postpartum OCD or psychosis. If you were a diabetic, you wouldn’t deny yourself insulin. If you had cancer, you wouldn’t deny yourself chemotherapy or radiation. And none of us would ever judge you for seeking that treatment to get better. There is no stigma in fighting and treating these illnesses and others. Postpartum depression needs to be viewed the same way by those that have it and those that do not. The first step to changing our perspective on something that happens to so many women is by talking about it openly. Moms who have experienced any form of this illness should be able to share their battles without being shamed. Medical professionals including OBs, pediatricians, even NICU and Maternity Wing nurses need to get educated about the risk factors, where to refer patients, and how to make their new moms feel they can admit how they are truly feeling in a safe, judgement free environment. Postpartum depression doesn’t just happen to those moms you hear about on the news who harm their babies. Or moms in abusive relationships with their husbands. Or single moms with no family support. Or new parents who struggle financially. I don’t fit into any of those categories. I had a loving and supportive husband and family during and after pregnancy. We are financially comfortable. I had a baby nurse in place when my son was born, family all around me, and part-time help. I consider myself to be an intelligent and fairly put together woman (a former teacher) and I still got postpartum depression. Again, it can happen to anyone. I don’t list my circumstances here to brag about how good I might have it, but because it’s the women like me who no one thinks could ever get postpartum depression, that are the ones who most likely will. 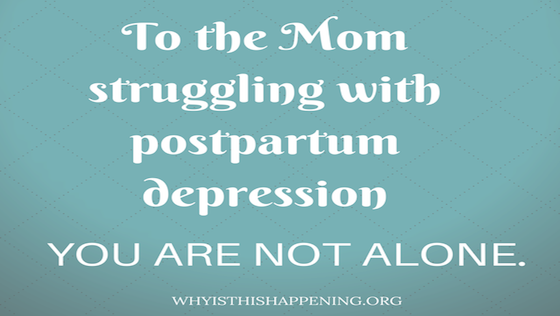 I know lawyers, pediatricians, NICU nurses, teachers, and business executives who have all suffered from some form of postpartum depression just like I did. Some were lucky like me and recognized something was wrong and sought treatment. Many others didn’t because they either didn’t realize what was happening to them or they were too ashamed to admit it. 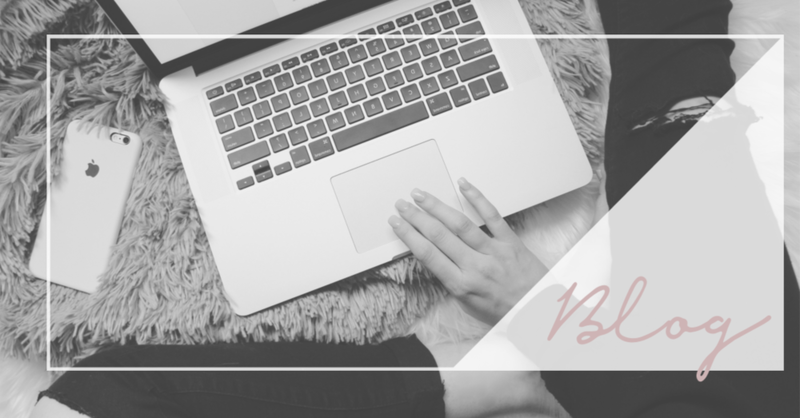 Society doesn’t realize how common postpartum depression is because when we hear about postpartum depression, we only seem to think about those tragic stories on the news involving mothers who hurt their babies. The postpartum depression I’m describing in this article doesn’t look like that, but because that’s what we think of, so many women are falling through the cracks. They aren’t coming forward. They aren’t asking for the help they need. They worry someone will take their babies away if they admit how they feel (because it will be assumed they will harm their babies). They don’t know where to get the help they need. They might not even understand what is happening to them because they too think, “well I don’t want to harm my baby, so it’s not postpartum depression.” I never wanted to harm my son, but I was still very sick with depression and needed the right help to get healthy again. We need to continue the conversation of postpartum depression as a normal illness that can happen to any new mother. An illness that requires treatment just like any other illness. We need to lessen the stigma surrounding postpartum depression. We need to increase awareness and education before and after birth for both moms and all the medical professionals that come into contact with them during baby’s first year of life. Many times, the postpartum depression doesn’t even reveal itself until month two or three, so everyone needs to be aware of the signs. Pediatricians, OBs, hospitals, and mental health professionals need to all work together to put protocols in place to help new moms recognize something is wrong, feel safe admitting they need help, and seek proper treatment. People tend to be so baby-focused after a woman gives birth. Is the baby healthy? Is the baby sleeping? Is the baby happy? How is the baby doing? What about the mom? If a mom is sick with any type of postpartum depression, she needs to be able to come forward. If she happens to have intrusive thoughts of wanting to harm herself or her baby, she needs to be able to tell someone without the fear or being judged or losing her baby. Think about how many babies could have been saved if those moms knew to seek treatment or others recognized the signs and intervened. Think about how many moms could live happier, healthy lives if they received the the help they needed. I’m living proof that you can get better, but it can’t be done alone.